Enroll in all 4 programs and save $50! Enrolling includes to entire curriculum includes all 4 programs and 15 classes. It's completely FREE for college women. Not a student? Enroll in the full program & save $50! 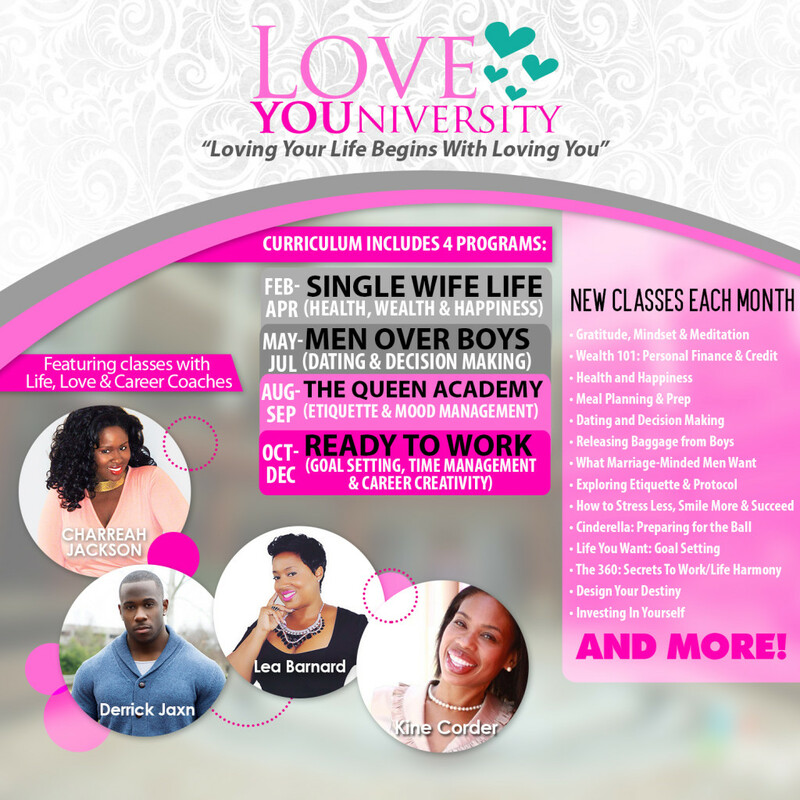 The world's ONLY self-development program that encourages self-love, confidence and relationship readiness. Learn what it takes to create healthier, wealthier and happier habits! Topics include: personal finance and credit, health and wellness, mindset and gratitude and meditation practice. A major issue women face is how to repair their heart from past hurts. This program will help improve your dating and decision making and release the baggage from boys. We’re going back to this basics in this program! Learn how to really act like a lady with our etiquette & protocol class, enhance your femininity and prepare to reign as Queen of your castle! We’re not just focused on manifesting men, we are striving to manifest MONEY as well! This program will help you organize your life, set and achieve goals, manage your time and prepare for success. How you spend your time today is where you will be tomorrow, next year, and in five years. The most successful people know how to use their time in a powerful and purposeful way. All we ask is that you promise to fully commit to the Love YOUniversity program because we are fully committed to you. Listen to the concepts, take the courses and put them into practice. If you commit to these life and love changing principles, you will see results. If you do each assignment, participate in each course and still see no results we will be more than happy to grant a full refund (less the 25% admin fee) within the 60 day trial period. **Please note: proof of participation will be required with all refund requests.